The Seamaster 2019 ITTF World Tour Hungarian Open concludes with a Chinese clean sweep; in three months, Budapest will play host to the eagerly anticipated World Table Tennis Championships. CHEN Meng wins the Women's Singles title at the Seamaster 2019 ITTF World Tour Hungarian Open in Budapest. The first ITTF event of the year is in the books, as China’s finest stole the show in Budapest, claiming all five gold medals on offer at the Seamaster 2019 ITTF World Tour Hungarian Open. Fans were treated to plenty of jaw-dropping shots and epic rallies over the past six days (qualification rounds 15-16 Jan. & main draw 17-20 Jan.), setting the scene nicely for when the biggest Table Tennis event of all kicks off in Budapest: the Liebherr 2019 ITTF World Championships, taking place in exactly three months’ time between 21-28 April. CHEN Meng confirmed her status as the undisputed form player on the women’s circuit, wrapping up the first trophy of 2019 just one month on from celebrating a second straight success at the Seamaster 2018 ITTF World Tour Grand Finals in Incheon. The Chinese star, currently ranked 4th in the world, showed spirit aplenty as she came from behind twice to overcome compatriot and top seed ZHU Yuling in the final by four games to two (9-11, 11-7, 11-13, 13-11, 11-4, 11-5). In doing so, CHEN Meng recorded her 10th career ITTF World Tour title: a fantastic milestone for a player who has often been overlooked by Chinese selectors for previous World Championships, but would now surely be one of the first names on their list. Could LIN Gaoyuan finally be emerging from the shadows of his Chinese peers? The 23-year-old, world no. 4 has been knocking on the door for silverware of late and was runner-up at the Seamaster 2018 ITTF World Tour Grand Finals in Incheon. Emerging from the disappointment of defeat to Tomokazu HARIMOTO that night in Korea, the ‘Dark Knight’ stormed to two consecutive 4-0 victories on Sunday, beating compatriots XU Xin in the semi-final (14-12, 11-9, 11-6, 11-9) and WANG Chuqin (13-11, 12-10, 11-8, 11-9) to secure his second ever ITTF World Tour title. Beaten finalist WANG Chuqin had impressed greatly en route to Sunday’s showpiece match. Ranked 83rd in the world, the 18-year-old defeated world no. 6, Hugo CALDERANO (BRA) and no. 1, FAN Zhendong (CHN). 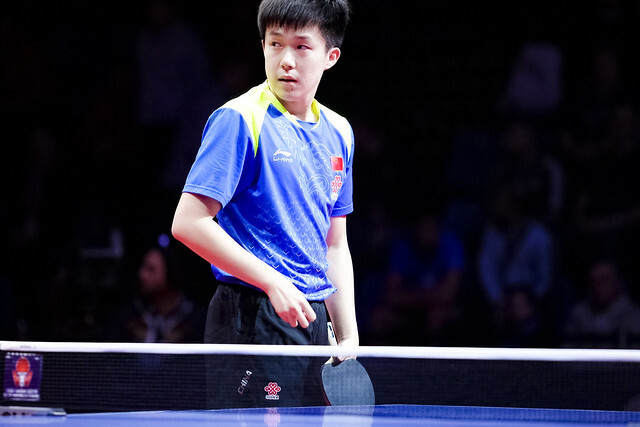 He is now a player to watch out for at upcoming events on the 2019 ITTF World Tour. In Adam SZUDI and Szandra PERGEL, Hungary had two players to light up the tournament and provide a source of pride for the host nation. The pair defeated HO Kwan Kit & LEE Ho Ching (HKG), Tristan FLORE & Laura GASNIER (FRA) and Alexander SHIBAEV & Polina MIKHAILOVA (RUS), dropping just two games in the process to reach Saturday’s final. At the final hurdle, XU Xin & LIU Shiwen (CHN) ultimately had too much in their locker for the Hungarians to handle, as they romped to a 3-0 victory (11-3, 11-6, 11-5). Nonetheless, silver medals for SZUDI & PERGEL were the proof of a fantastic campaign and a possible sign of things to come from the pair. In their very first international appearance as a partnership, 5th seeds XU Xin & LIANG Jingkun (CHN) defeated compatriots and 2nd seeds FAN Zhendong & LIN Gaoyuan over five games of high-intensity Table Tennis (11-5, 9-11, 11-7, 5-11, 11-8). WANG Manyu & ZHU Yuling (CHN) emerged champions in the Women’s Doubles competition in Budapest. It was only their second campaign as a pair on the international stage, but you would not have imagined so as they combined formidably to despatch of compatriots CHEN Meng & SUN Yingsha 3-1 in the final (8-11, 11-7, 15-13, 11-2).